Amy Lund is an artist living in Portland, Oregon. She is a recent graduate of the Oregon College of Art and Craft where she earned a BFA in Craft with a focus in Book Arts and Printmaking. A Minnesota native, Amy spends her free time exploring the Pacific Northwest with her husband and two teenage children. 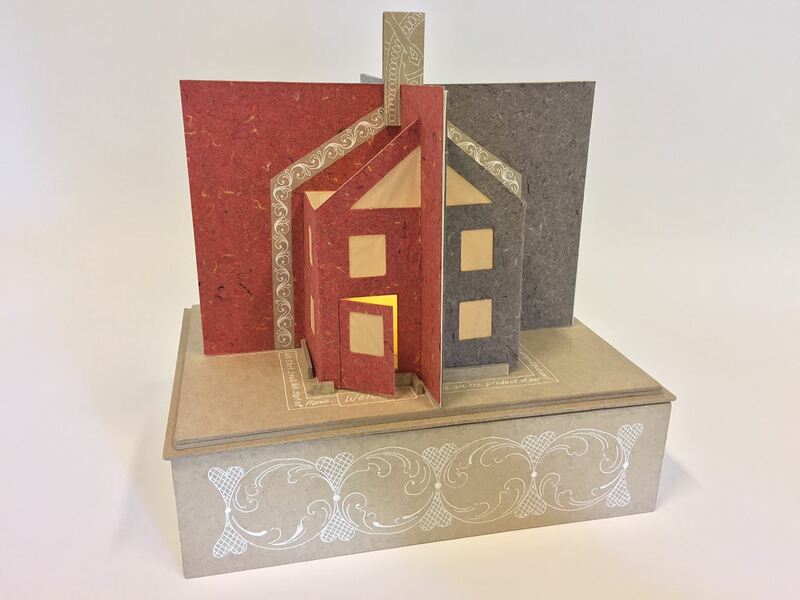 My work seeks to understand the quality and power of Home—to grasp the practices of how we live and how it influences the skills we learn, resilience we acquire, its role in our identity and the happiness we hopefully find. I reuse, remake, and rethink the materials and skills of my domestic life. 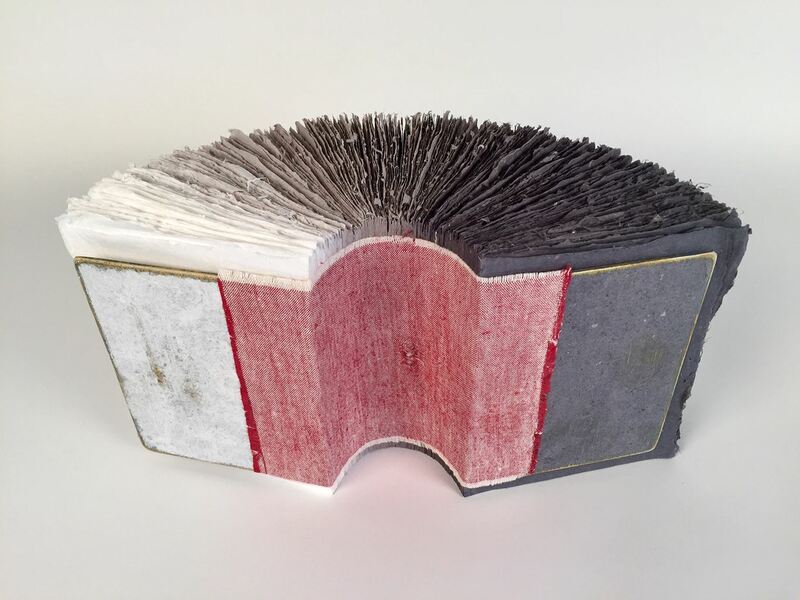 Through the simple pleasure of labor, I transform the goods and skills of both Home and Book Arts making visible the beauty and power of each. The things I make lure the viewer to touch, handle and feel, inciting a personal yet conceptual response. Hygge. 2016. Handmade paper. 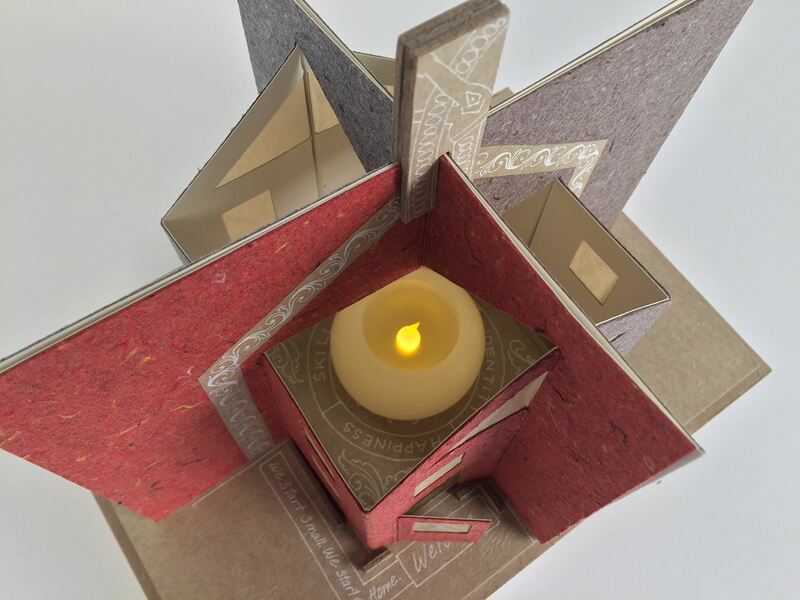 This unbound pop-up book tactilely illustrates the Scandinavian practice of coziness. Gene Pool. 2015. Handmade paper. The helix/double helix structures are explored with paper making. 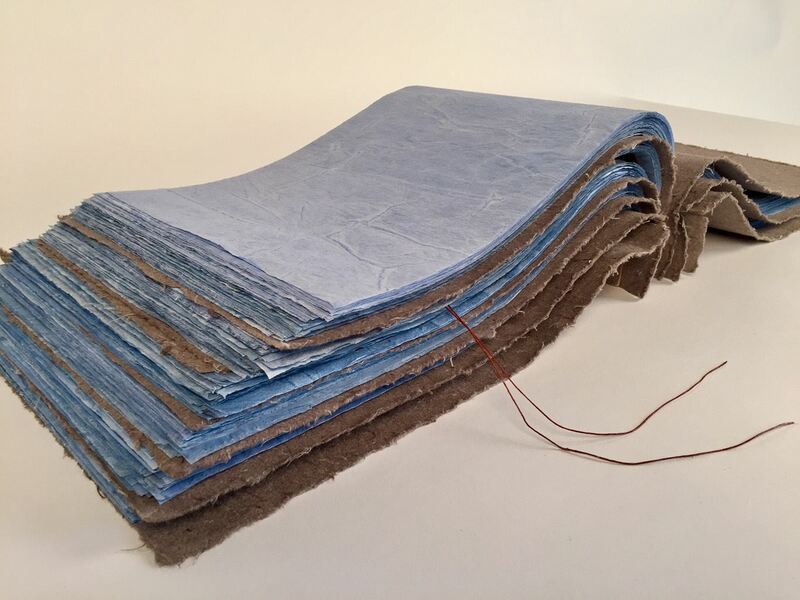 Wool yarn is laminated between sheets of Abaca fibers which lend a skin-like quality to the pages. Recipe Box. 2015. Handmade paper. 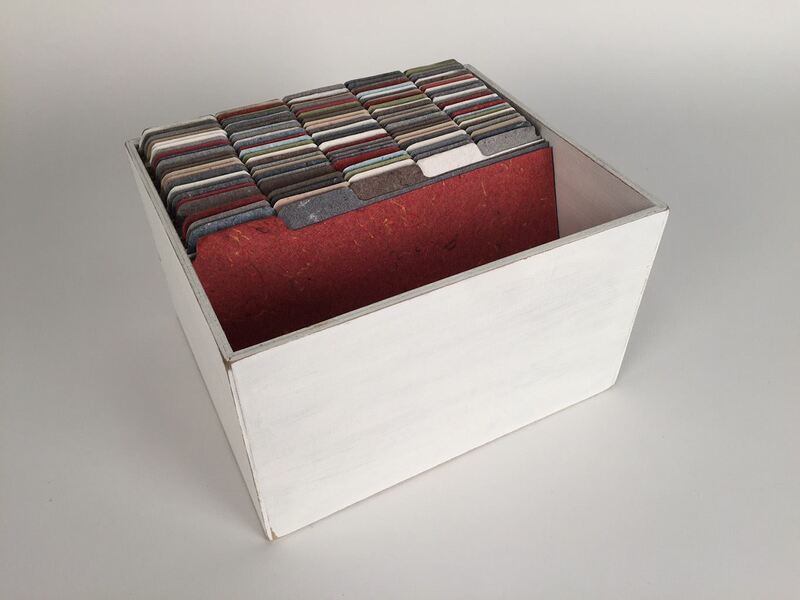 Indexed samples of paper made from a family’s well-loved and worn out clothing and linens. The Opposite is Also True. 2017. Handmade paper, painted tissue. 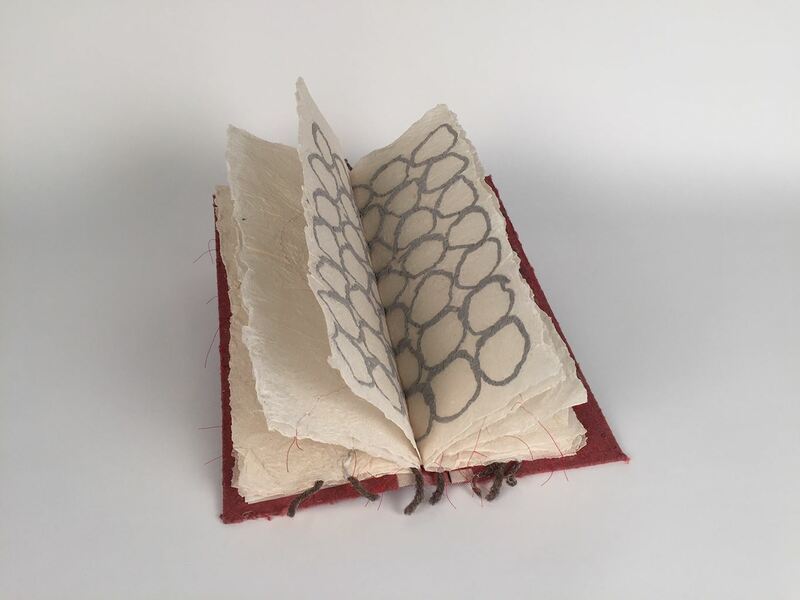 A recent work that has yet to reveal all of its secrets, this book explores the pliability, patterns and pacing of genealogy through materials. The Family Bible. 2017. Handmade paper. Like every good Norwegian family before mine, we use this important book as not only a symbol of family values, but also a place to mark time and important events.